(Dec. 10, 2010)--Rogelio Saenz, a faculty member at Texas A&M University since 1986, has been named dean of the UTSA College of Public Policy. He will begin his duties June 1, 2011. 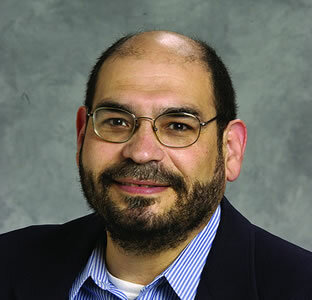 A sociologist and social demographer, Saenz is the author of numerous publications related to Latinos, demography, race and ethnic relations, immigration and inequality. He is a co-editor of the 2008 book "Latinas/os in the United States: Changing the Face of America." "After an extensive national search for a new dean, I am delighted to announce that Rogelio Saenz will be leading the College of Public Policy," said John Frederick, UTSA provost and vice president for academic affairs. "Dr. Saenz is an accomplished instructor and administrator with a proven ability to collaborate with different disciplines and colleges within a university. He has an active research agenda and a vision for developing research programs in COPP in support of UTSA's goal of becoming a premier research university." Saenz grew up in the Rio Grande Valley in Mercedes, Texas, and earned a bachelor's degree in social work and sociology from Pan American University (now UT Pan American). He earned master's and doctoral degrees in sociology from Iowa State University. He joined Texas A&M in 1986 as an assistant professor in the sociology and rural sociology departments; he was promoted to associate professor in 1991 and full professor in 1996. He served as head of the Department of Sociology from 1997 to 2005. In 2007, Saenz was appointed Carsey Policy Fellow at the University of New Hampshire Carsey Institute, and in 2008, he was appointed College of Liberal Arts Cornerstone Faculty Fellow at Texas A&M. "I am happy to be joining the College of Public Policy," Saenz said. "I have seen the growth that has taken place at UTSA, and I see a lot of possibilities for setting up collaborative relationships across the university. In addition to strengthening the programs that exist in the college, my goal is to increase external research funding and set up interdisciplinary teams that would be able to pursue funding and critical issues that are important to the people in South Texas, Texas and the nation as a whole." Saenz will replace Dennis Haynes, UTSA professor of social work, who has served as interim dean of the college since 2008. Haynes succeeded founding dean Jesse Zapata, who presently serves as vice provost of the UTSA Downtown Campus and for academic and faculty support. Located at the UTSA Downtown Campus, the College of Public Policy enrolls more than 1,300 students with more than 400 graduate students in the criminal justice, demography, public administration and social work departments. The college offers four graduate and two undergraduate programs including the new bachelor of public administration degree approved to begin in fall 2011. Additionally, the Center for Policy Studies and the Institute for Demographic and Socioeconomic Research are housed within the college.